Today’s man certainly shouldn’t be ashamed to use hair tools; they’re no longer just reserved for women. Certainly, with the rise in importance of men’s grooming, it’s perfectly normal for men to be found perusing the straighteners (and other hair tools) on display in any department store and possibly even borrowing his wife or girlfriend’s set. Women’s hairstyles have benefited from these hair tools, so why shouldn’t men benefit as well? Men, like women can also have difficult to tame hair and unless you’re the type of man who shaves your hair into a 1/8” grade two haircut you’ll know what I’m talking about. Consider yourself lucky if you have a head full of thick, straight hair that stands to attention when you want it to – you’re in the minority. However, if you were born with a head full of unruly curls that looked cute as a toddler but lost its appeal as you headed into your teens and into adulthood, you’ll be surprised at how much a simple mini-straightener will enhance your hair style. So What are Mini Straighteners? Aren’t They All the Same? Curly hair that you want to periodically straighten. Hair that has a distinct kink in it. Hair you want to go in one direction. Hair you want to go in multiple directions. Spend too much time doing your hair and need convenience. 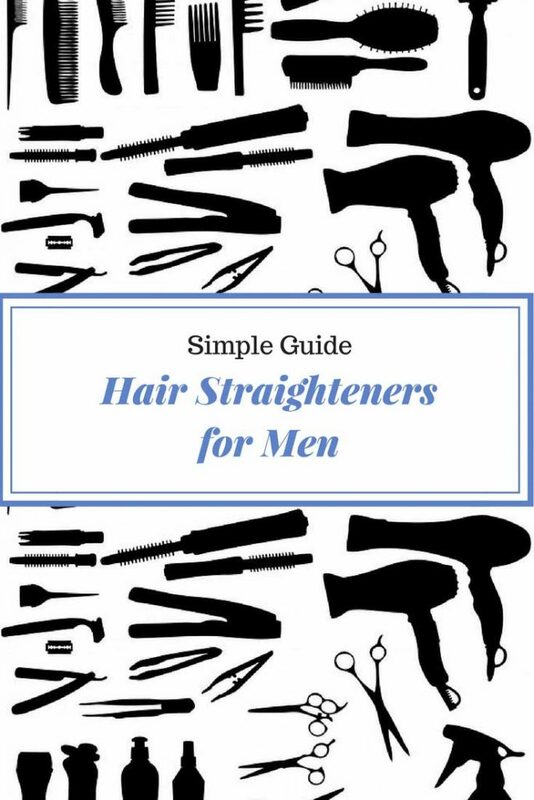 GHD, one of the largest manufacturers of hair straighteners, reported that 25% of its online purchases of straighteners are male and one of its most popular set of straighteners, the IV Mini Styler, is a favourite among men. However, don’t get confused, there are different types of straighteners and unless you have long hair, you will likely only want the mini size. Mini hair straighteners are designed perfectly for men because they are designed for short hair use. 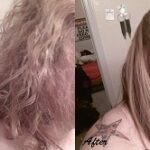 Don’t use the larger straighteners unless you have unusually long hair. If you’ve ever tried your girlfriend’s regular hair straighteners on fairly short male hair, you’ll know what I’m talking about. You can’t get them on enough hair because the plates are too wide. A mini-hair straightener solves that problem in one swoop. Designed with 1/2 “plates (sometimes even smaller), they easily straighten the curliest of hair and if your hair is styled with extra length on top you can glide them through in seconds. No more trying to get a hairdryer around your hair or teasing it into place with wax and then discovering it’s still full of kinks. A mini-straightener will instantly deliver kink-free, straight hair. Oh and they’re fast too. What man wants to spend half an hour teasing his hair into place only to see those kinks re-appear in less than 10 minutes? None. There’s no time, there’s a bus to catch, a train to jump on, an office to get to. Plug in those mini-straighteners and you’re good to go in less than five minutes. I’ve seen men grappling with hairdryers try and get that super-cool hair in exactly the same place as the hairdresser or barber did, and failing. The thing with mini hair straighteners is care. They’re easy to use, but like any hair tool you still need to look after your hair while using them. No guy wants fried hair. So if you’re going to buy mini straighteners, arm yourself with the right haircare too. Be sure to get a heat resistant barrier spray and use it in your hair before you subject it to high heat. Don’t use the highest temperature setting (it won’t get the job done quicker, it will just stress out your hair) and never go over and over the same section. This is what fries it. If you’re the forgetful type, invest in a mini straightener with auto-shut off because no one wants to start a fire or burn a surface. The first time you look at a mini hair straightener may be a little intimidating. Don’t worry, they’re easier to use than you might think! NEVER use on wet hair, they are only for dry-hair use. Set to a low temperature first. Wait for the mini straightener to heat up. Place a small section of hair inside the plates and pull the plates through from root to tip. Don’t let the straightener rest on the hair for longer than a couple of seconds (you might burn your hair)! One of our favorites is the BaByliss PRO Nano in blue. It’s small, lightweight and effective. At just 1” width, it’s good for short styling and great for ironing out kinks at the front of your hair. The dual voltage feature means you can take it away when you travel and the length of the straighteners allows them to easily tackle the roots so there are no frizzy areas. This comes with nano titanium technology. For those who don’t have a clue what that means, it promises better hydration for hair with less frizz and static. All-in-all that leaves you with good-looking hair that doesn’t look like it’s been fried! These are 1” plates so they’re good for male hair but the size means they’re suitable for longer hair (chin length and shoulder length in particular). GHD’s are the gold standard in hair straighteners, having been the first ever manufacturer to use ceramic technology. Expect fast heat-up, constant temperature and a good quality, frizz free, static free finish. They’re also capable of styling hair with waves and curls – if you ever had any need! You never know…Finally, they come with a 2 year warranty so you get peace of mind. This mini hair straightener by Chi deliver a great all-round experience. The developers of Chi started off at GHD (the market leaders of hair straighteners) so they know a thing or two about quality technology. While you’ll more than likely use these for straightening and styling, they also create waves and flicks (just in case!). If you just can’t get your head round using a hair straightener, you might prefer this mini straightening brush by Miuphro. It looks like a brush, works like a brush except you need to plug it in for it to heat up. Then, you wait for it to reach your desired temperature and let it glide through your hair. It straightens and styles, removing frizz, tangles, fluff and static and it’s portable because it’s so small, just 7.1” long. It comes with two temperature settings, 350 degrees Fahrenheit and 410 degrees Fahrenheit and, for extra safety, it has an auto-shut off after 60 minutes of idle use. This mini hair straightener by Huachi is ideal for travel and has a convenient USB charging port. At 8” long, it’s a good size for getting to the root and perfect for shorter styling, ironing out lumps and bumps and keeping male hair frizz-free. It has the added bonus of containing a rechargeable 2900mAh lithium battery so you can easily take it with you to work, to the gym or on trips abroad and the three different heat settings gives you plenty of flexibility. The Huachi has infrared technology which really gives hair a silky-soft look and it gives a massaging effect to stimulate circulation in the scalp. This fast-heating mini straightener is the smallest of all so it’s perfect if you have very short hair, prone to waves or hair that just needs taming. The ceramic plates are just 0.625” wide so they really can grasp the root and with fast heat up, you don’t waste your precious time. It’s salon-grade technology delivers soft, smooth hair and it has ionic technology to lock in hydration (male hair often dries out due to product overload and not being cared for – there’s limited time after all!). The CROC comes with a carry case too so you can store it away discreetly when not in use. Possibly the ultimate male mini straightener is the black NMISS which can be used in the car – no one needs to see and you can keep it in there for styling touch-ups on the go! 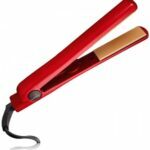 It’s budget-friendly too and while it’s not the top of the range straightener, it does a decent job. With ionic technology, it tames frizz, straightens kinks and flicks hair, all in the comfort of the car – who needs to know? Another very small size mini straightener is the Jinri. This option is just 4/5” wide, great for reaching the roots and for short, straight styling and even for curls. This one has titanium plates, possibly the best heat conductor there is and they maintain constant temperature so your hair styles faster. Titanium is also better for hair’s hydration as it doesn’t dry hair out as much as other materials. With a high maximum temperature of 410 degrees Fahrenheit, it’s a quality, portable product. The titanium represents a premium material that’s good for even heat conduction. It comes with an LCD display, good when you have no idea what the temperature is as you can clearly view it. With high heat-up (to 450 degrees Fahrenheit), this option provides no frizz and strong styling capabilities. Auto-shut off prevents accidental heat burns on your countertops.